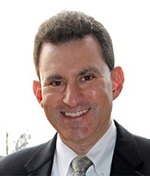 GIE Associate Editor Dr. David Schwartz recommends this Original Article from the July issue, “Double-balloon enteroscopy in Crohn’s disease: findings and impact on management in a multicenter retrospective study” by Semrad et al. 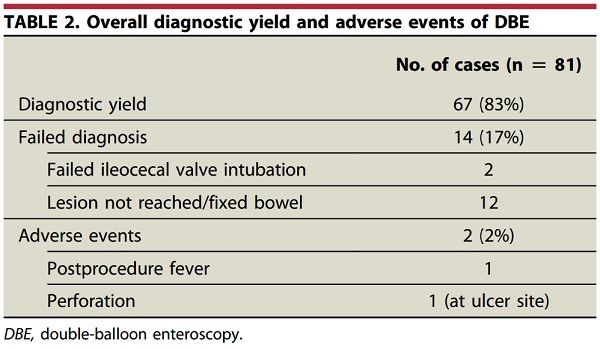 In this article, the authors present a multicenter retrospective study looking at the impact of double balloon enteroscopy (DBE) in the management of patients with Crohn’s disease. The authors found that the diagnostic yield of DBE was high (87%) and it impacted subsequent management in 82% of the patients with known Crohn’s disease (most for active disease needing intensification of therapy) and in 77% of patients in whom Crohn’s was suspected. The majority of impact in patients suspected of having Crohn’s disease occurs because a new diagnosis is made based on finding active inflammation in the small intestines. The authors found that the correlation between findings on capsule endoscopy and DBE were low with agreement found in only 46% of the patients. This article highlights the potential benefit of DBE in patients with inflammatory bowel disease (IBD). Clinicians are increasingly moving toward the goal of mucosal healing as an important clinical endpoint not only for trials but also in the clinic. Retrospective studies have demonstrated better outcomes in patients who can achieve mucosal healing. In this study, active small bowel disease was found in 42% of patients studied. This resulted in alterations to the treatment plan to address the findings on DBE. Furthermore, the lack of active disease found in symptomatic patients prevented unnecessary escalation of treatment. The lack of correlation between capsule endoscopy and DBE suggests that both modalities may be needed when important treatment decisions are going to be made or there is a high degree of suspicion for active inflammation in the small intestine. As we move toward a more personalized approach to the treatment of patients with IBD, DBE should be a valuable tool for clinicians to better customize therapy for patients with Crohn’s disease. DBE is a safe and effective modality for assessing the small intestines of patients with IBD that can have a sigificant impact on treatment decisions in these patients.